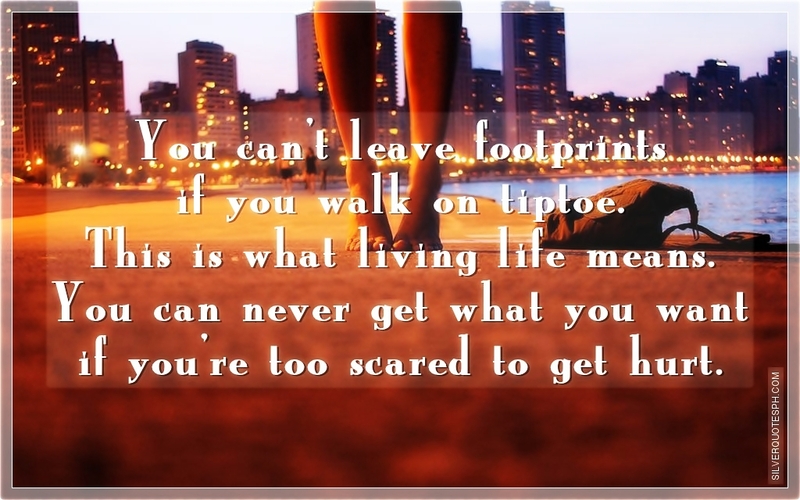 You can't leave footprints if you walk on tiptoe. This is what living life means. You can never get what you want if you're too scared to get hurt.